Asha and Lisa have been best friends since grade school and they have always shared everything. A beautiful and accomplished photographer, Asha never seems to lack excitement or a man to share it with. Yet, for a woman who appears to have it all there is always “that something” she needs to make her feel whole. . .worthy. Lisa, “the good girl,” has always dreamed of the perfect marriage to the perfect husband. Now she has both with Ross Davis and she has their future planned to the last, perfect detail. Ross didn’t want to believe that he and Lisa had married too soon. He didn’t want to believe that each day the man he thought himself to be was being stripped away by the woman he loved–leaving him feeling like a kept man instead of the man of the house. And then–betrayal. No one knows how it happened, how they could have done this to each other. But now, they each want to tell their side of the story. As Asha, Lisa and Ross travel down the road to discovery, you will root for them, hurt for them, hate them and love them. But you will never forget them. 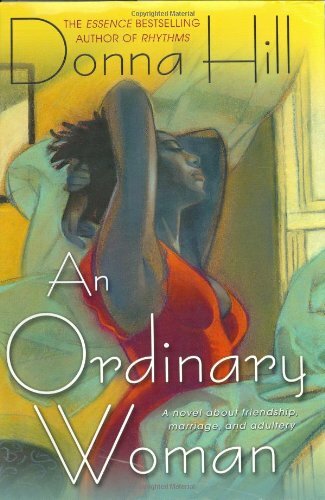 An Ordinary Woman is about the betrayal of the most sacred of trusts. It is about the that one moment when a single choice will change lives forever. It is a cautionary tale that dares to look deep inside the hearts and minds of the characters involved. 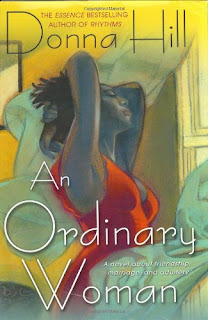 Most importantly, An Ordinary Woman attempts to answer the question: How? This ia a novel about friends who are acquainted in their early years and remain friends throughout adulthood. This is a powerful novel. The characters strive for success in the stresses of a world, that was once out of reach to them. Asha Woods and Lisa Holden are anything but ordinary, they make mistakes and pay dearly for doing so. But, they move on with life, regardless of how much it may hurt. This book is an excellent read…. love, betrayal and hope. Have you read this book? Why not rate it?